Welcome to Our Newest Trainer! I want to give a very warm welcome to the newest trainer at CrossFit Kirkwood, Kristen Roles!!! I know this news doesn’t come as a surprise to many of you, but Kristen will start teaching classes this week. Many of you have seen Kristen in class. 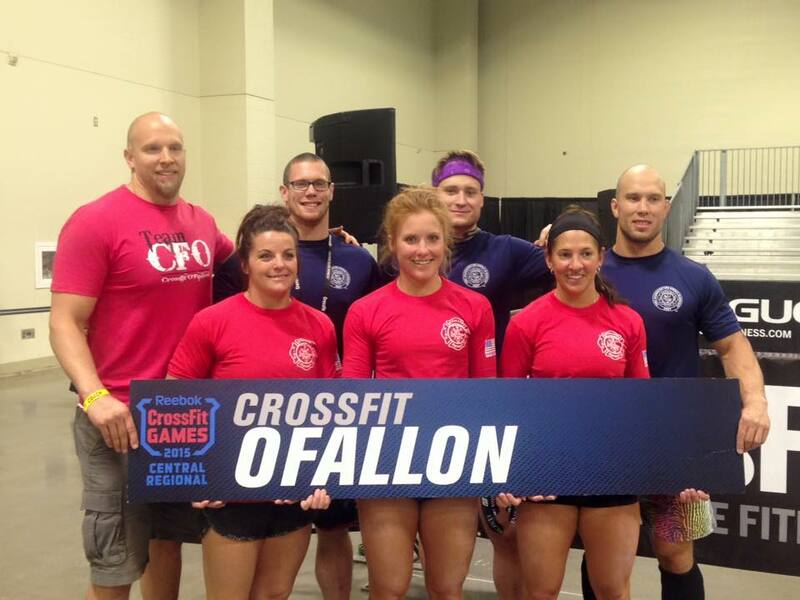 Or maybe you saw her at Regionals competing with CrossFit O’Fallon! Kristen Roles on the far right. Kristen is a great athlete and a great addition to the CrossFit Kirkwood team. Want to know more about her? Here you go! Kristen served in the U.S. Air Force for over 11 years as an aircraft mechanic. During her service, she deployed three times, has been stationed at six different locations across the United States, and ran the fitness program for her assigned unit. From 2009 to 2012, Kristen qualified to run for the National Guard Marathon team traveling throughout the country competing, assisting with running and fitness expos, and helping others achieve their running goals. Kristen left her full time position with the Air National Guard in 2011 to pursue her passion for helping others in fitness and nutrition. She serves now as a traditional guardsman for the Missouri Air National Guard. Kristen graduated from Fontbonne University with a Bachelors of Science in Dietetics in 2014. She has had the opportunity to continue her education and jump-start her career by collaborating with leaders in the fitness industry. Kristen is an active member in the CrossFit community as a competitor, CrossFit Endurance Trainer and CrossFit Level 1 Trainer. Beyond the CrossFit realm, she is a National Academy of Sports Medicine certified personal trainer and assists with athletic training for women’s high school cross country as well as local soccer clubs.